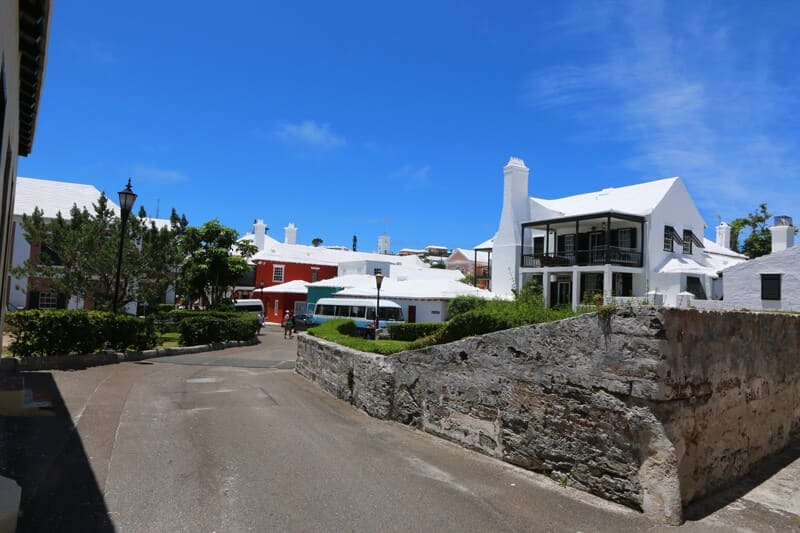 If you’re traveling to Bermuda, St. George’s is an absolute must. 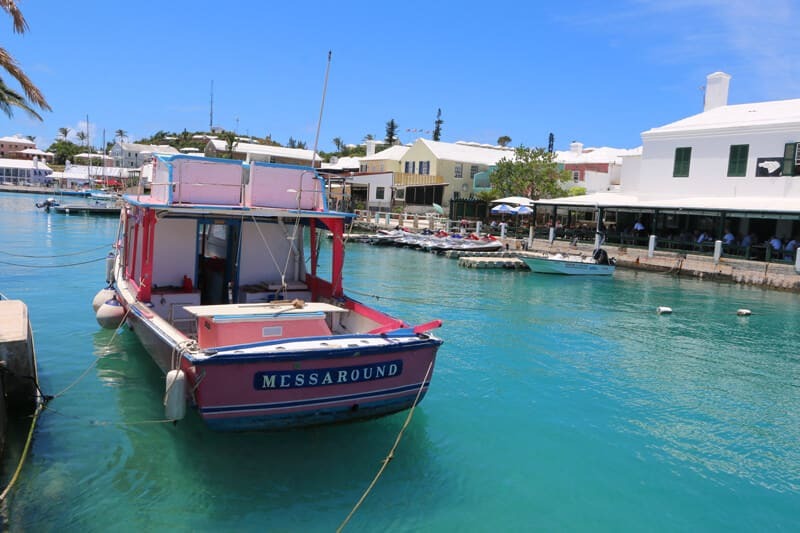 Indeed, St. George’s is enough reason alone to travel to Bermuda in the first place. 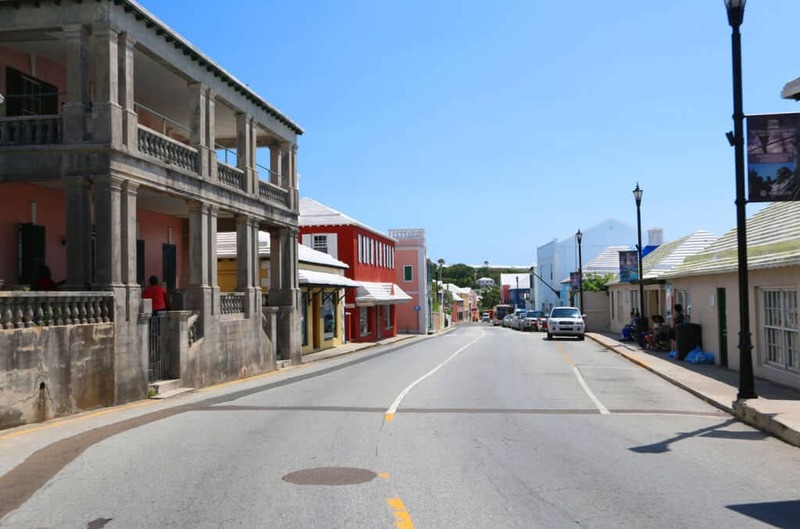 The oldest surviving English town in the New World, St. George’s is a UNESCO World Heritage Site and is a historical treasure. Todd and I got back from our trip to Bermuda a few weeks ago and haven’t been able to stop talking about it since. St. George’s was one of our favorite stops. 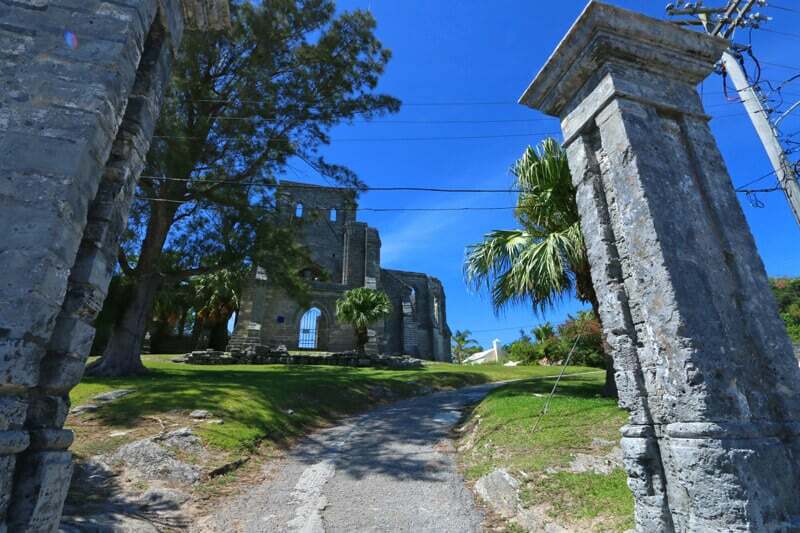 We’re going to take you on a virtual tour of the town and tell you about a few of its most fascinating sites. But first, how about a little background information? 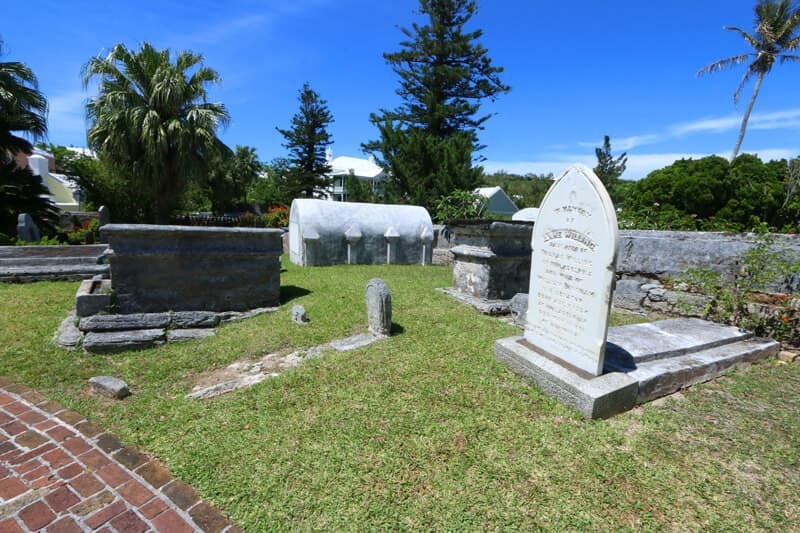 Founded in 1612, St. George’s was the first permanent settlement in Bermuda and is in fact the oldest continuously inhabited English settlement in the New World. It’s history is inextricably linked with that of the Jamestown settlement in Virginia. 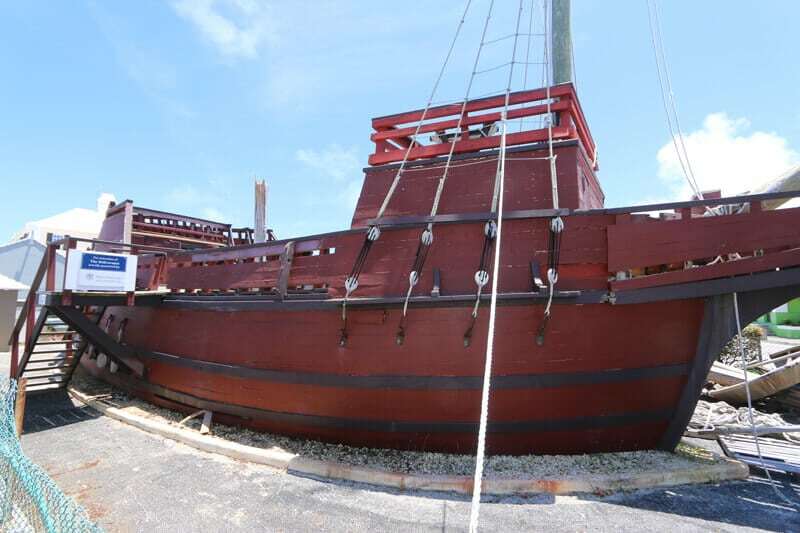 In 1609 the ship Sea Venture was on its way to the Jamestown colony and was intentionally shipwrecked on a nearby reef in order to escape a storm. Although the crew and passengers built two new ships from the wreckage and sailed on to Jamestown, two men stayed behind on the islands of Bermuda. Bermuda subsequently became a part of the new Virginia colony. 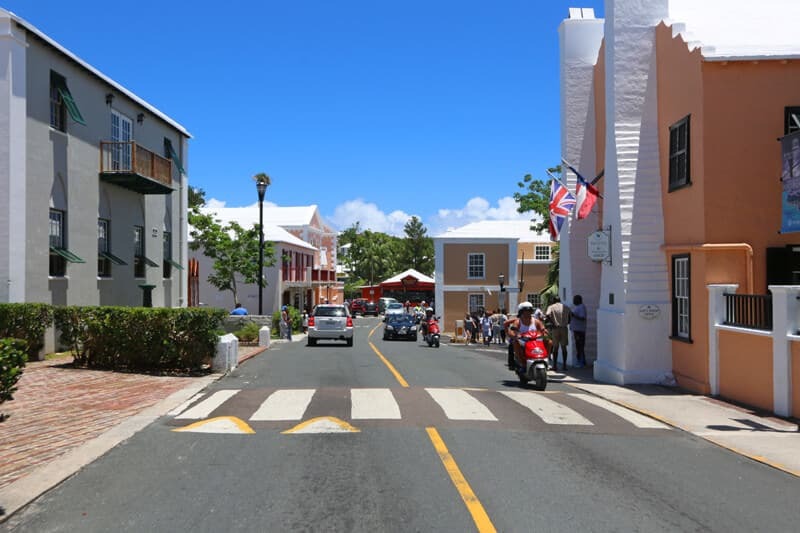 During the American colonial period, St. George’s was the capital of Bermuda and played an important role during the American Revolution. 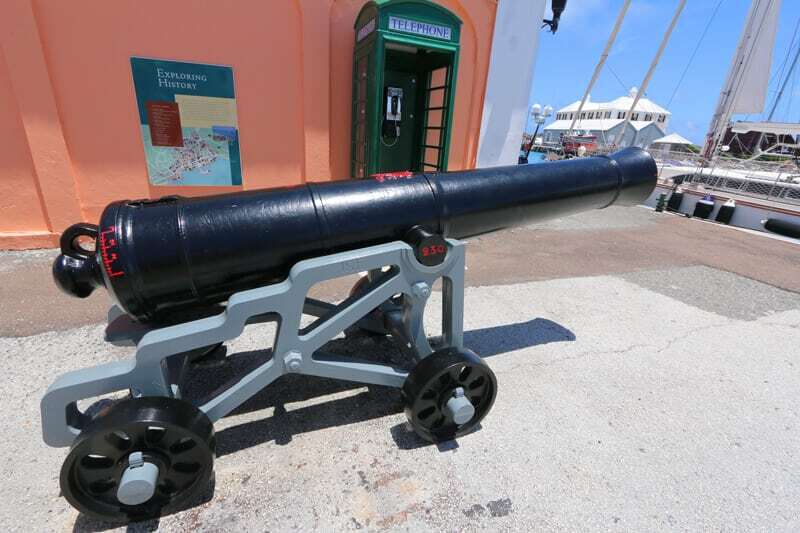 One such example is the Bermudian’s assistance in stealing nearly all of the British Army’s Bermuda gunpowder from a powder magazine in St. George’s and transporting it to an American ship that was anchored offshore. 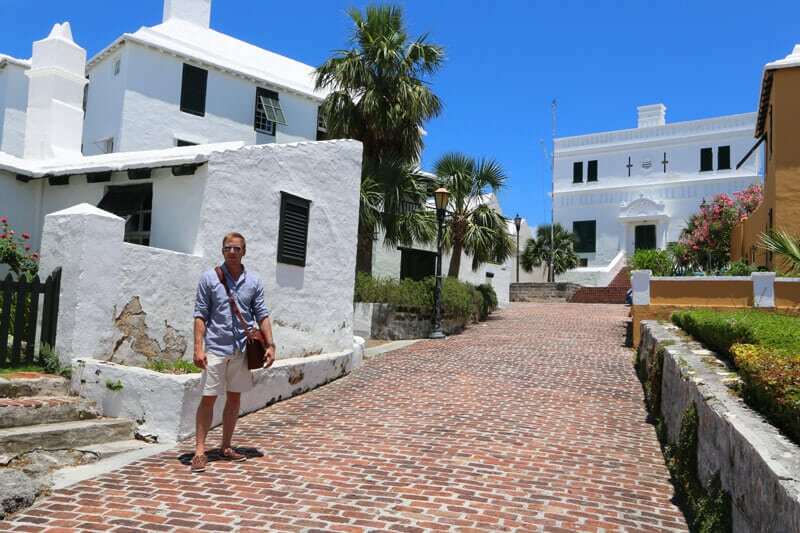 It is even said that Bermuda would have been included in the original American colonies if not for it’s remote distance off the Atlantic Seaboard and Britain’s strong naval presence. St. George’s also supported the Confederates in the American Civil War by suppling various provisions and munitions for the war effort. Additionally, cotton grown in the Confederacy was directly exchanged for British weapons in St. George’s. 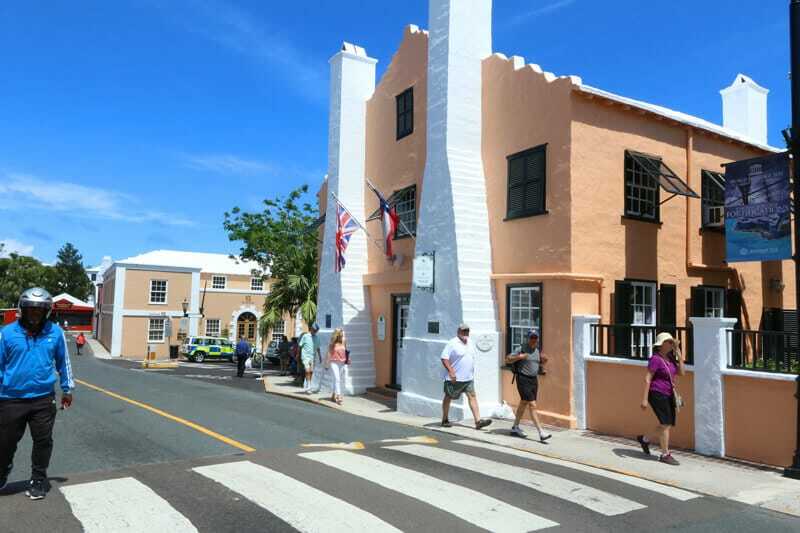 The Bermudian’s assistance to the U.S. would have constituted treason against the crown, but the Bermudians forged, and have continued to maintain, a very friendly relationship with the U.S..
Now a World Heritage site, St. George’s is awash with history, from its cobblestone streets lined with 17th-19th century building to the numerous fortifications that overlook the outlying coastline and beaches. 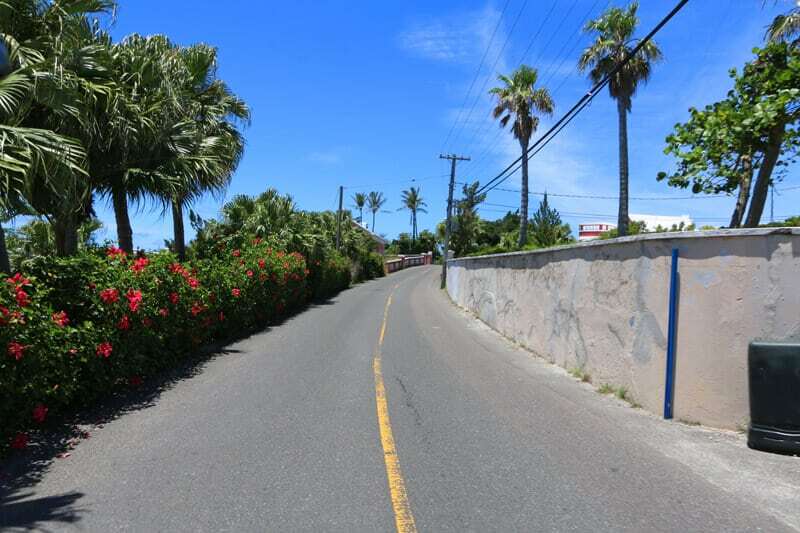 From whichever direction you enter St. George’s, the drive is beautiful. After all, it’s Bermuda! Our mode of transportation: A scooter. 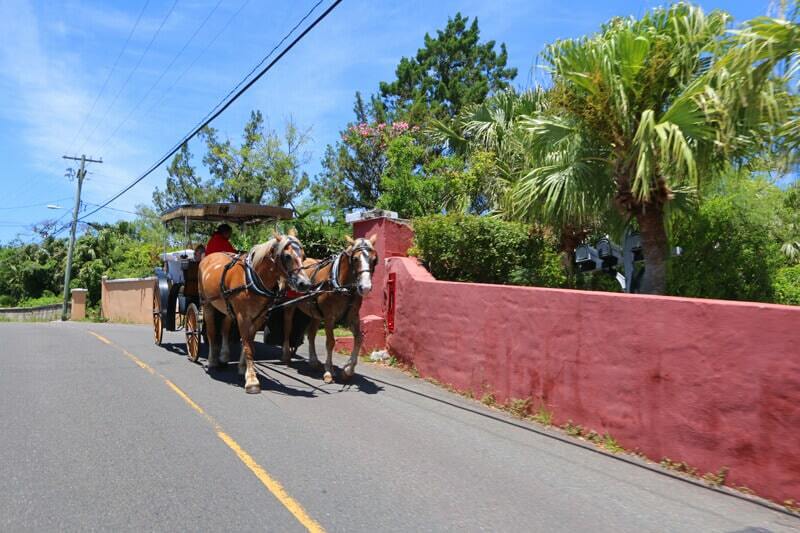 You may even find some people traveling by horse-drawn carriage. 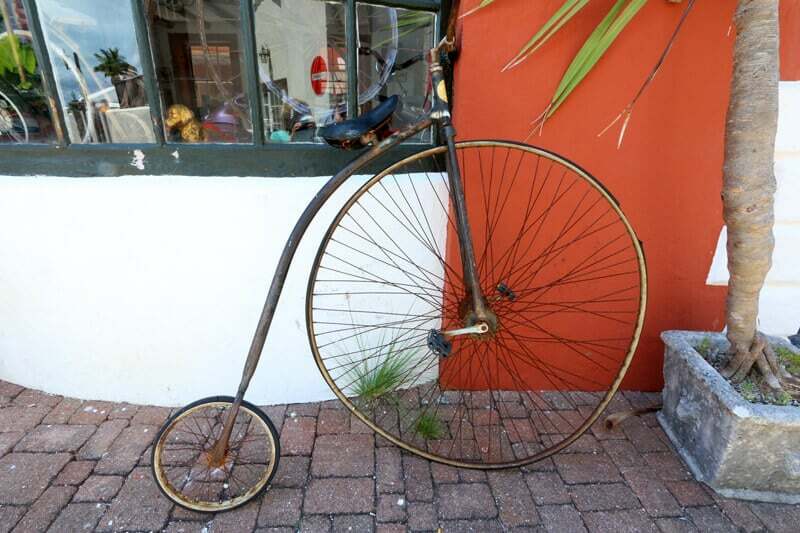 Parking never seems to be a problem in Bermuda. 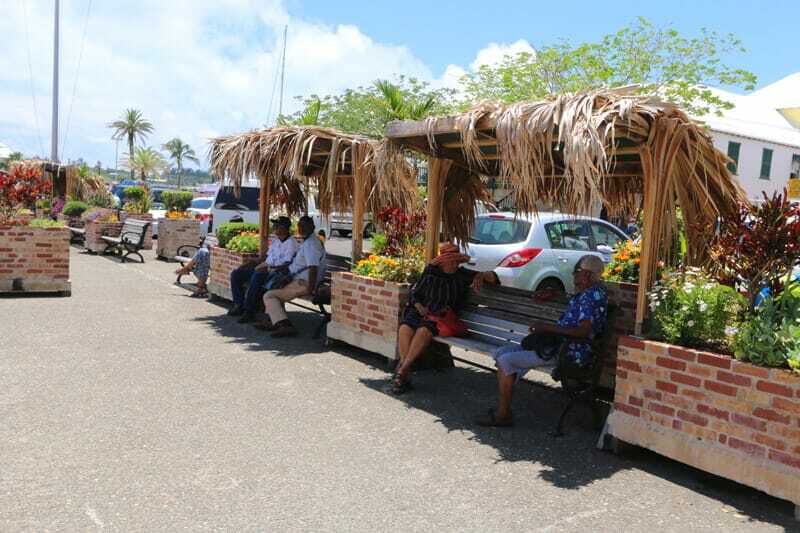 Only residents have cars so there are no car rentals available to tourists. Only rental scooters, bikes and public transportation are available to visitors. As you can imagine that dramatically cuts down on traffic and makes parking more available. Wherever you go, including St. George’s, you’ll find narrow white lines in the parking lots indicating spots for scooters and bikes. 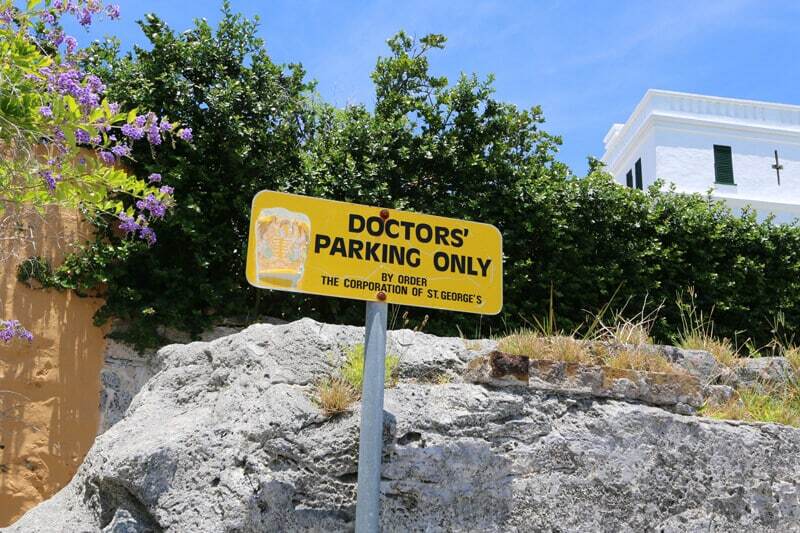 Speaking of parking lots, St. George’s sure knows how to treat its doctors. We wondered how they’d feel about honoring an American doctor’s license, but there was no need. We were tourists with a scooter and there were plenty of designated scooter spots. 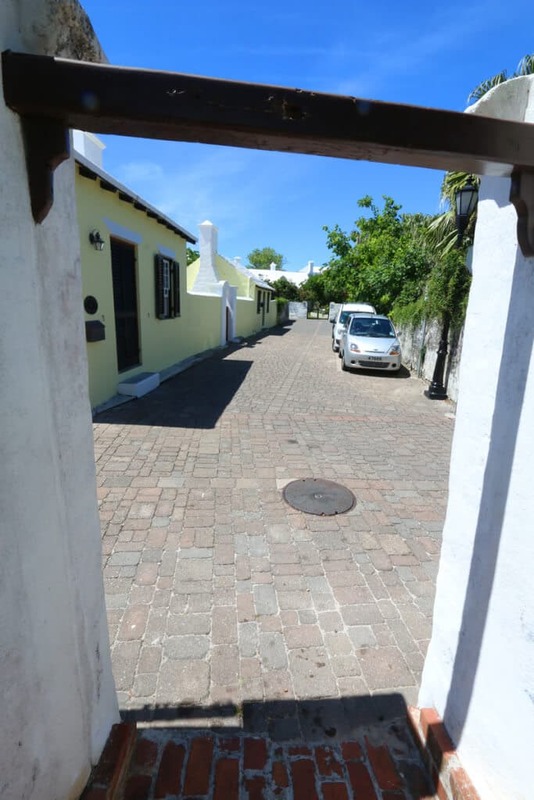 The streets of St. George’s are clean and, especially considering their age, the buildings are very well-maintained. The town is pleasant and cheerful with its colorful palette of homes and buildings. We were there in June, high season, but foot traffic was minimal and we were able to navigate easily in and through the various attractions. 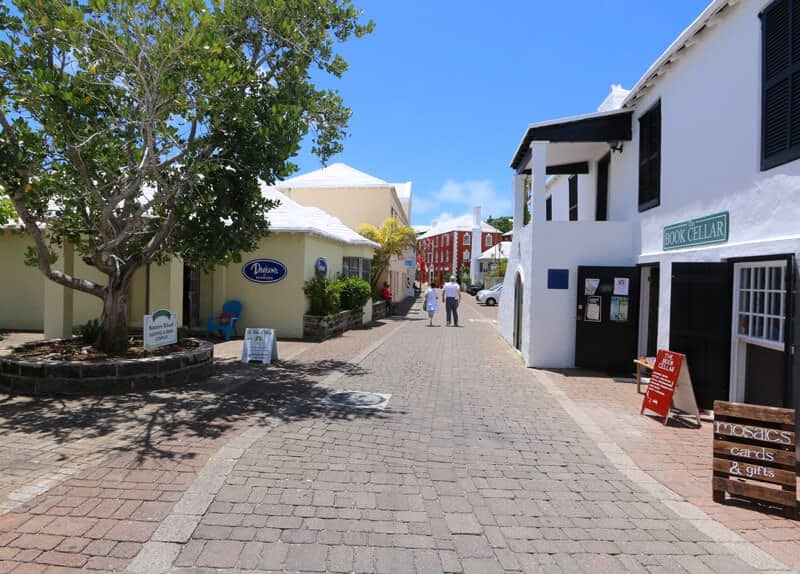 St. George’s has plenty of shops and restaurants and they’re all easily accessible by foot. And of course if you come by scooter there’s plenty of parking throughout town. Below on the right is the Tucker House, built in the 1750’s. 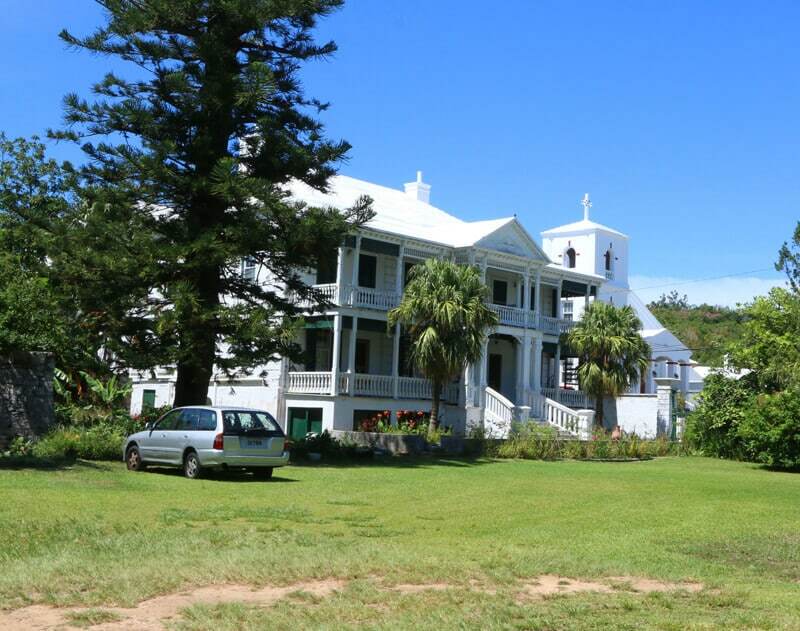 It’s now a museum and features things like antique china, crystal and silver, Bermuda cedar furniture, hand-sewn quilts. On the left is the place we stopped for food. St. George’s has several restaurants with great reputations but we didn’t have time for a sit-down meal. Still, we were hungry and several people had recommended we stop at a place called Art Mel’s, specifically for their fish sandwich. A sandwich so big that one of them easily fills two people. Inside we found two of the friendliest people we encountered in Bermuda: Art and his wife Jay. Now I have to tell you something that I’m always terribly embarrassed to admit. I generally do not like seafood. I just can’t stand the “fishy” taste. It wasn’t until after I sheepishly revealed that to Art that I discovered another kindred spirit. He hates it, too. And that is why he has mastered the ultimate fish sandwich that doesn’t taste like fish! I was skeptical. Extremely skeptical. But after my first bite I was hooked. My husband was as floored as I was and of course we had to take a picture of me eating it as proof to my family at home who would never believe it otherwise. Art has a secret for getting the fishy tasting oils out of the fish. That not only eliminates the fishy flavor I can’t stand, it also prevents the breading from getting soggy. The batter was so light and crisp – truly perfection. I told Art there was only one problem with this: I was finally converted to fish. But only his fish. And he’s thousands of miles away in Bermuda! We went in with the expectation of staying 10 minutes, just long enough to order and eat a sandwich. We left an hour later, having stayed and thoroughly enjoyed our visit. We learned that in spite a lot of pressure to open it at the suggestion that they’d make a lot more money, Art and Jay keep their establishment closed on Sundays to observe the Sabbath and on Mondays for family time. Instead they work hard at pleasing their customers the other 5 days of the week and they have done such a good job of it that Art Mel’s has a second location in Hamilton, has been the recipient of numerous awards, and has garnered mentions in of some of the U.S.’s most respected magazines. We came in for a fish sandwich and left having made two new friends. Art and Jay are a wonderful couple with hearts as big as their jumbo fish sandwiches. On our way out we grabbed a few cans of soda that we’ve never seen in the U.S. and Art graciously sent us off with some of their delicious passion fruit and pineapple sorbet made in house by their son. 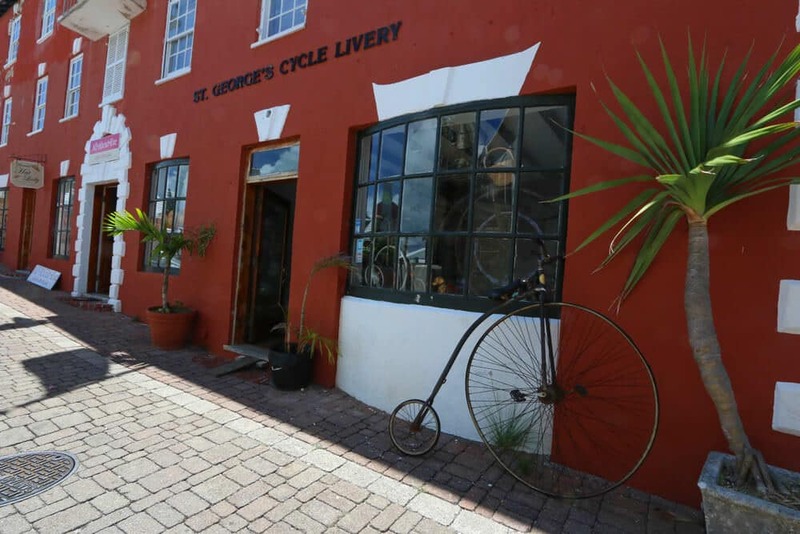 After lunch we headed up the street and came across St. George’s Cycle Livery with an original Penny-farthing bike from the 1800’s. We felt very grateful to have our scooters. 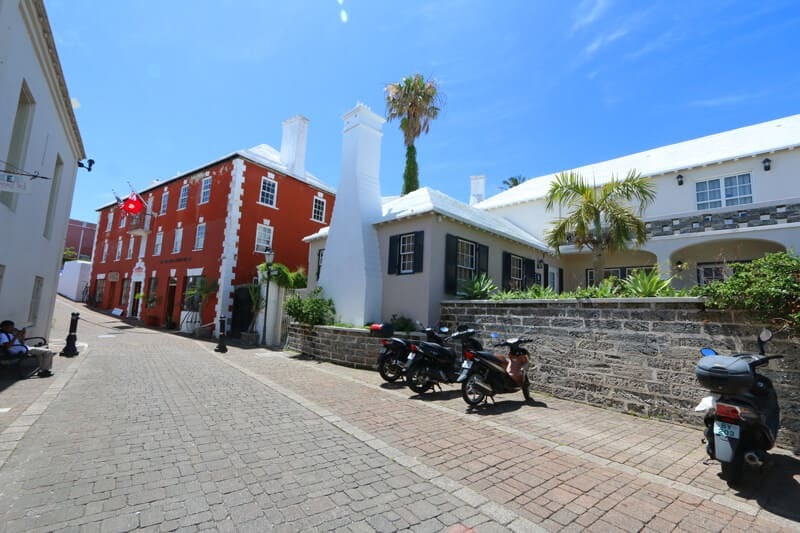 There is no shortage of historical sites and buildings to explore in St. George’s. 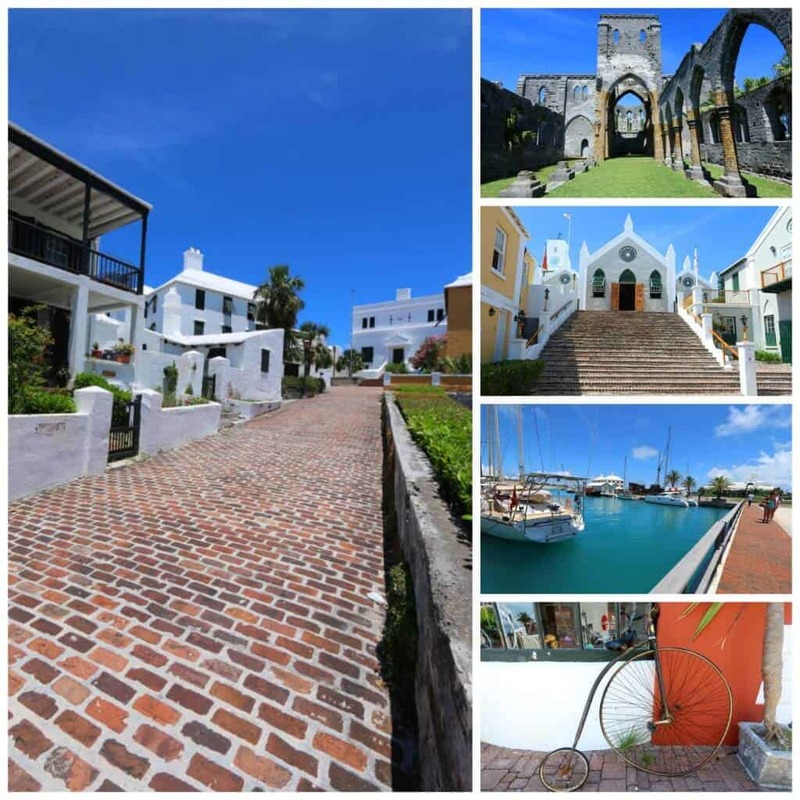 Here are a few of the town’s prominent attractions that you should add to your list when you visit. 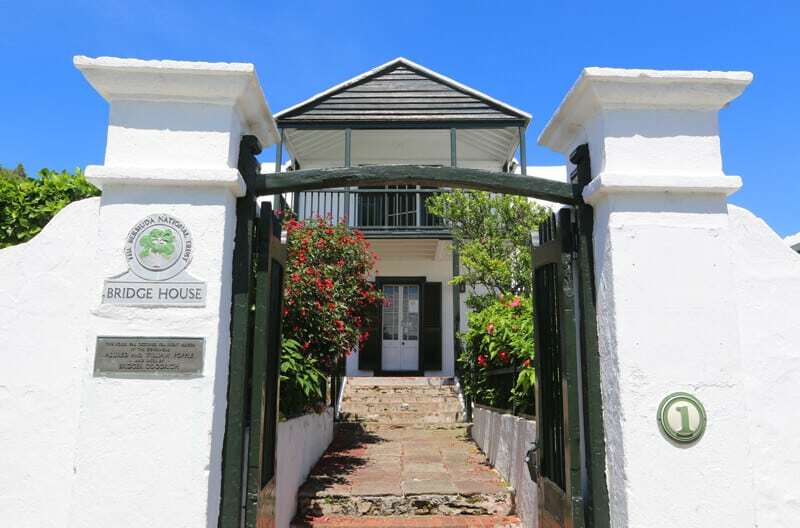 Located behind King’s Square, the Bridge House was built in 1707 and is now a property of the Bermuda National Trust. 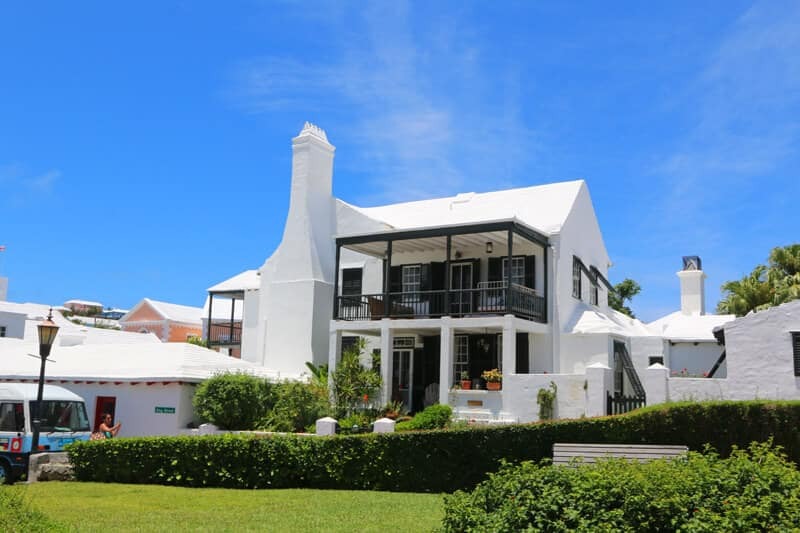 It was built by a shoemaker and planter, Roger Bailey, and served as the residence of several governors, including Governor Benjamin Bennett during the early 1700’s when Bermuda was a British colony. Another well-known resident of the Bridge House was Bridger Goodrich, a privateer from Virginia who purchased the home in cash for $1000. 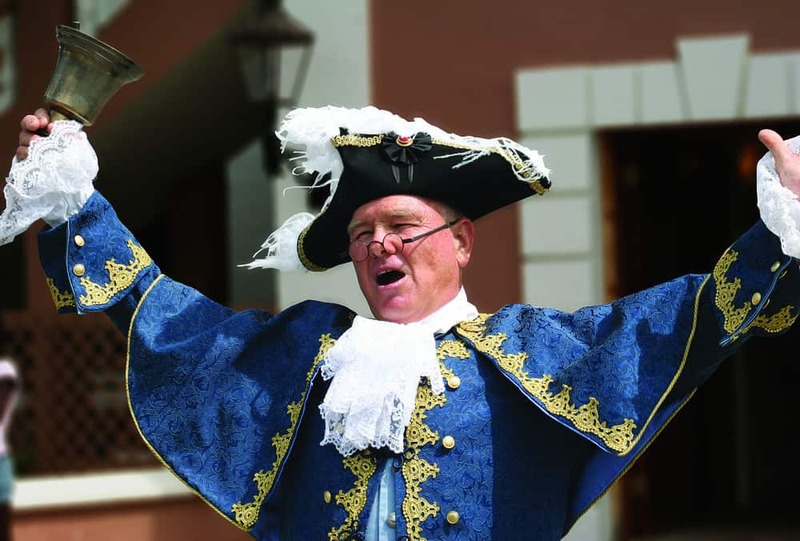 A loyalist to the king, he captured local vessels and blocked America’s sea trade in Bermuda’s waters. In addition to housing several military and political figures, the Bridge House is also home to a notable ghost: Mistress Christian Stevenson. Condemned as a witch in 1653, it was at this spot that she declared her innocence, to no avail. She has been a reported visitor ever since. 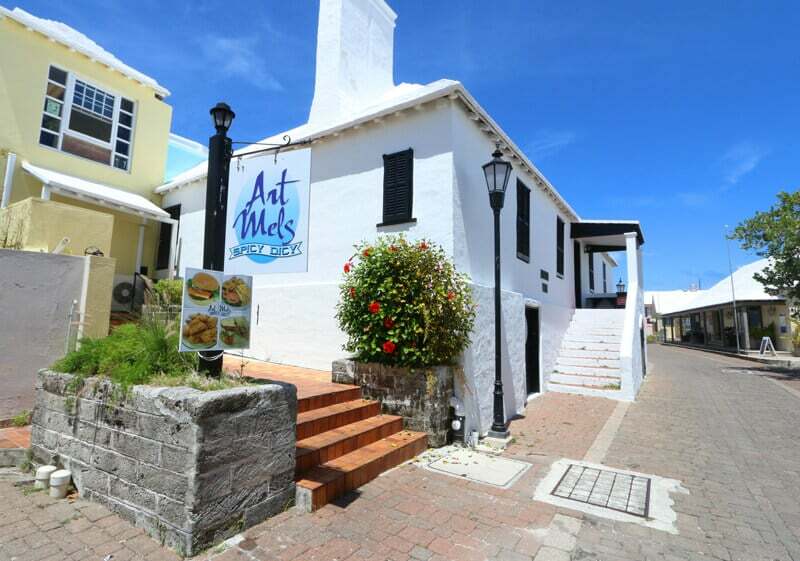 The Bridge House is now split up into a guest apartment and an art gallery, showcasing the works of local artists including several prominent ones. 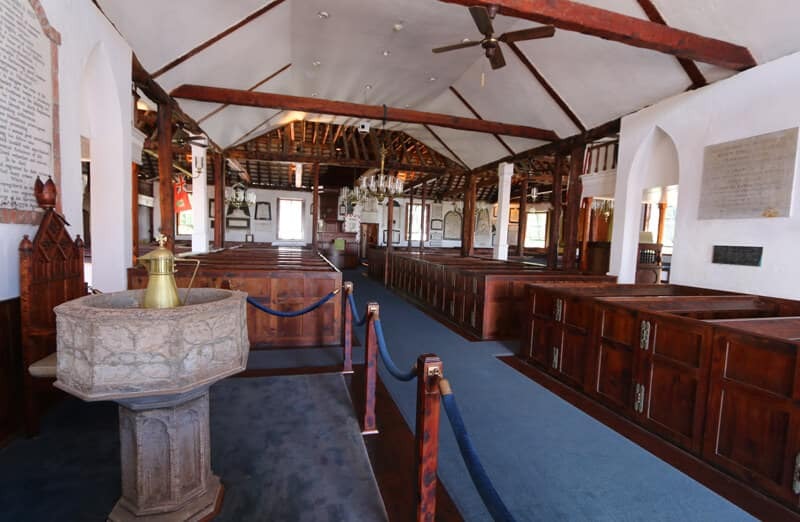 The oldest building on the island as well as one of the oldest standing English structures in the New World, the State House was built in 1620 by Governor Nathaniel Butler to house the parliament. The first floor of the State House was where the General Assembly met while the upper floor served as the island’s magazine housing its gunpowder. 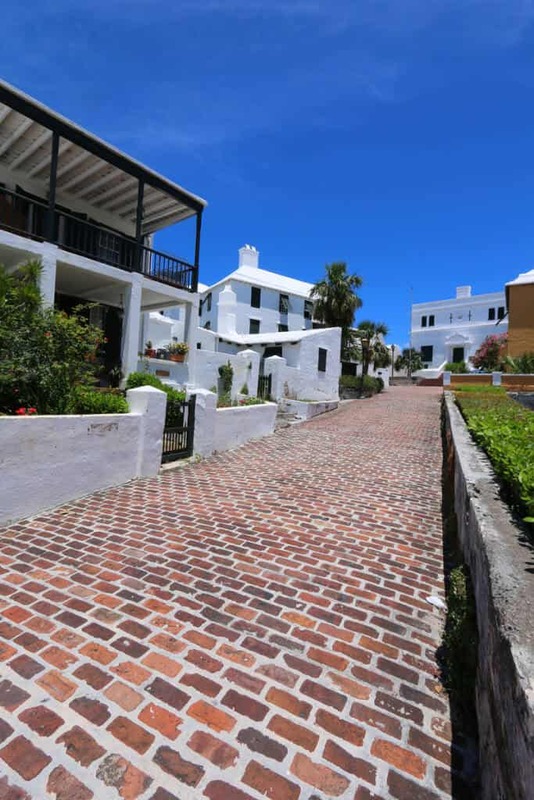 The architecture of the State House is unlike any other Bermudian building. 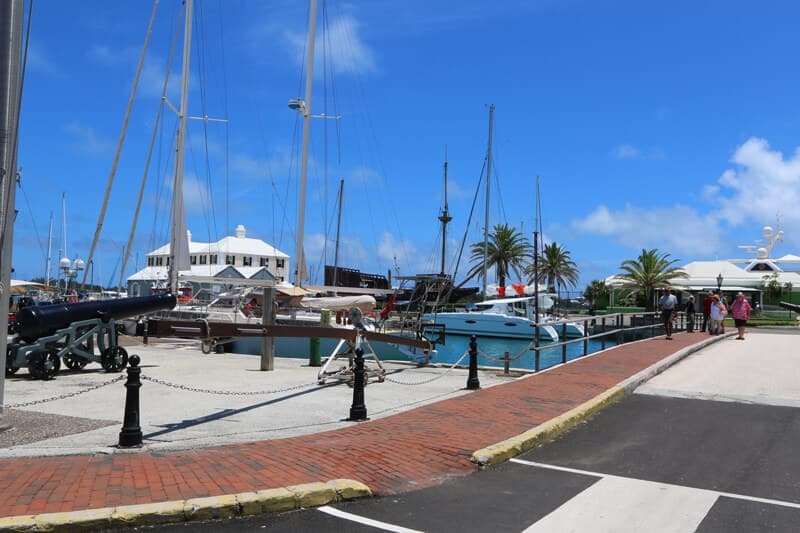 That’s because, insisting Bermuda shared the same latitude and climate as the Mediterranean, Governor Nathaniel Butler built it with an Italian influence. 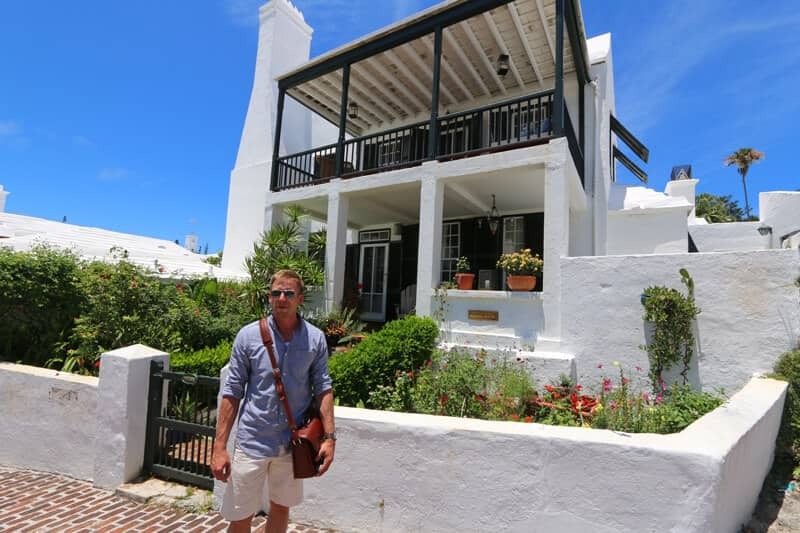 It’s flat roof soon proved problematic for heavy Bermudian rainfalls which would collect and seep into the porous limestone. 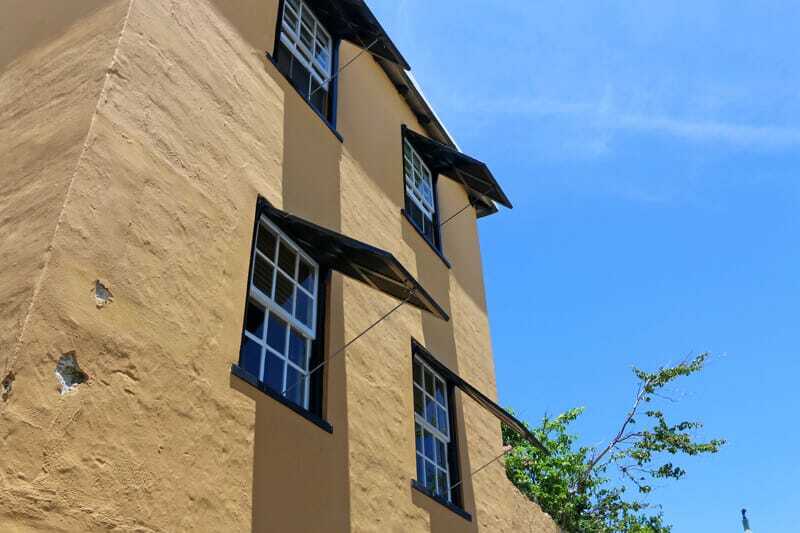 Subsequent buildings in Bermuda were designed with angled state roofs and gutters. 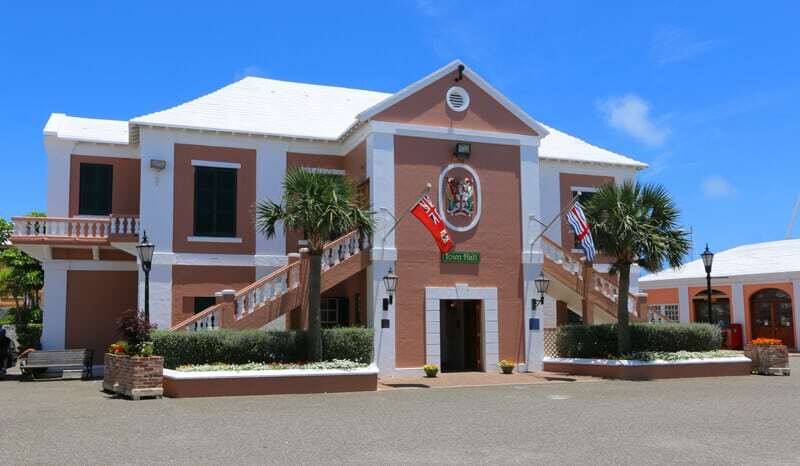 When Hamilton became Bermuda’s capital in 1815, the State House became home to the Scottish Free Masons Lodge for a monthly rent of…one peppercorn. 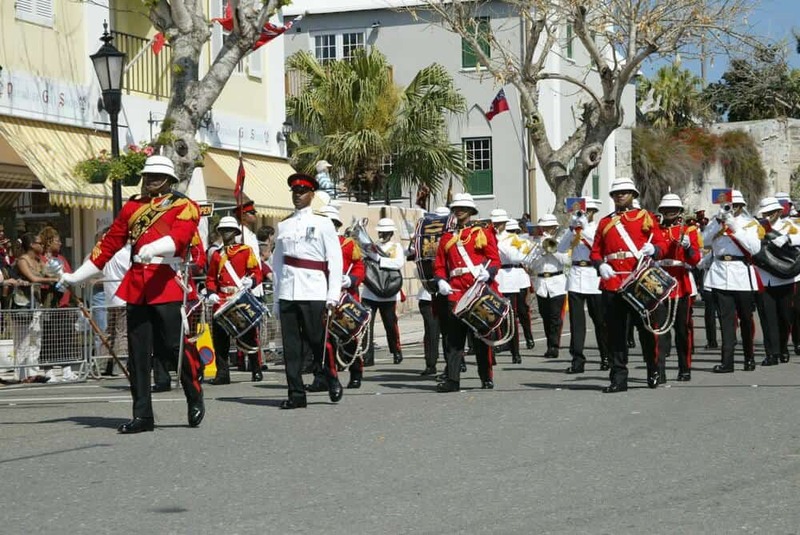 That’s not only a true story, but the tradition continues today and has evolved into what is probably Bermuda’s most unusual celebration! True to tradition, every April the free mason Lodge St. George No. 200 pays its rent of one peppercorn to the Governor during an elaborate ceremony involving a military parade, government officials in traditional clothing and a rifle salute. 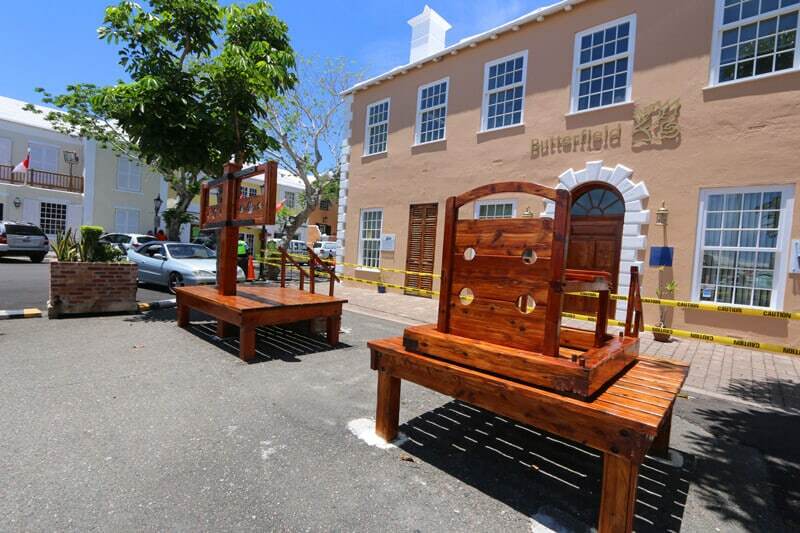 King’s Square is the main center of St. George’s and is the site for several 17th century re-enactments throughout the year, including the annual Peppercorn Ceremony. 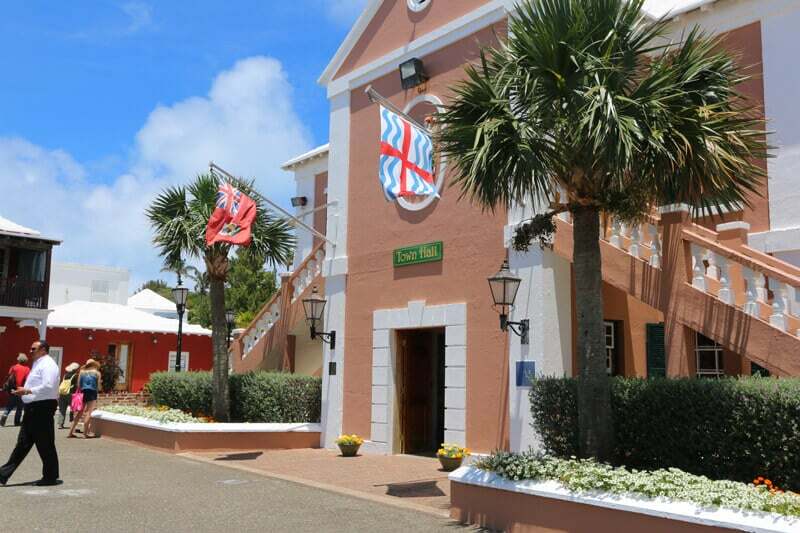 The Bermuda Trust Museum is located in the square and features exhibits tracing Bermuda’s history, including its involvement in the American Civil War. 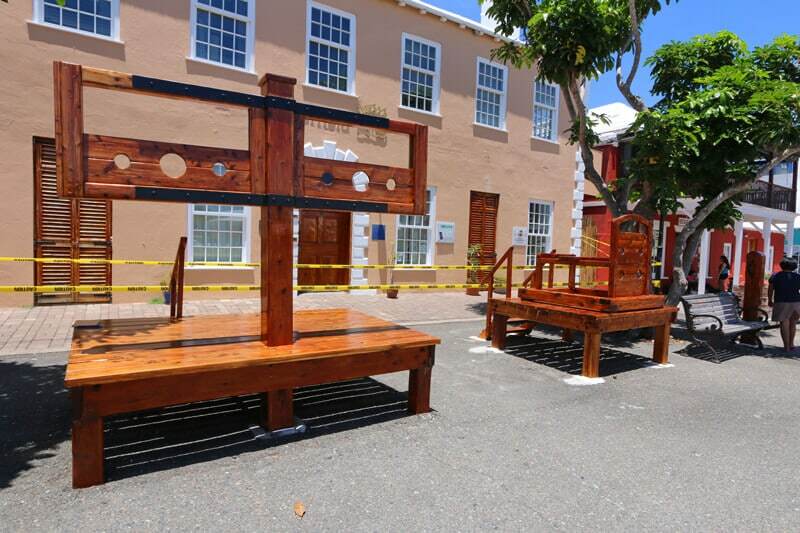 The square also features some replicas the old stocks, pillory and whipping station. During the 18th century those caught for petty crimes such as drunkenness would have their heads and limbs shackled through the holes and those passing by would punish them by throwing rotten produce and other unmentionables at them. Needless to say it’s a popular photo spot for tourists. Behind the stocks is Butterfield Bank. Built in 1776 it was originally used for the British military during the American Revolution, later converted into a hotel, and then bought out by the bank in the 1950’s. Note the yellow tape wrapped around the building. 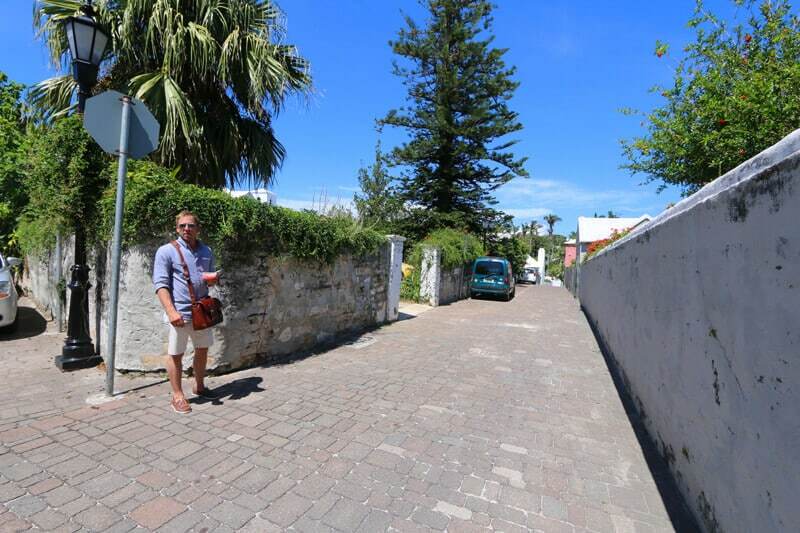 We just happened to enter St. George’s in time for their notorious bank robbery, a very rare crime for Bermuda. On an island so small, where does the criminal possibly hope to go with all that money?? 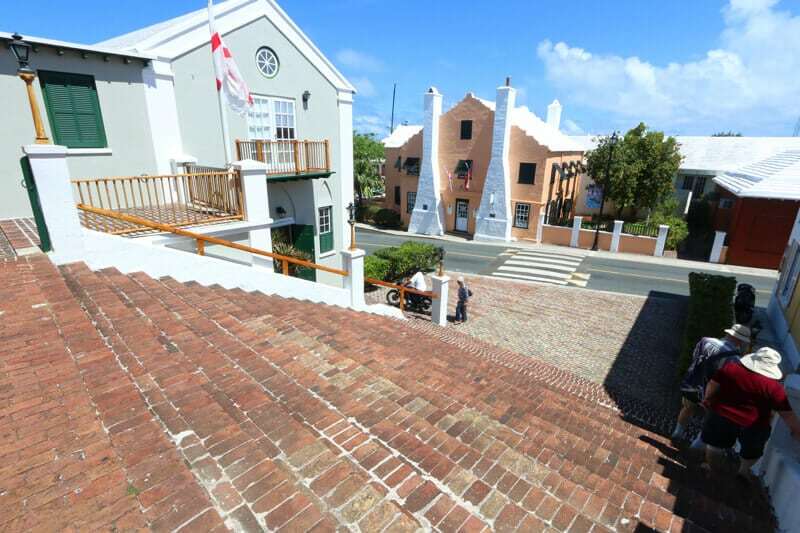 St. George’s town hall was built in 1782. Entrance is free and inside you can learn about the town’s past mayors while admiring the beautiful cedar woodwork. 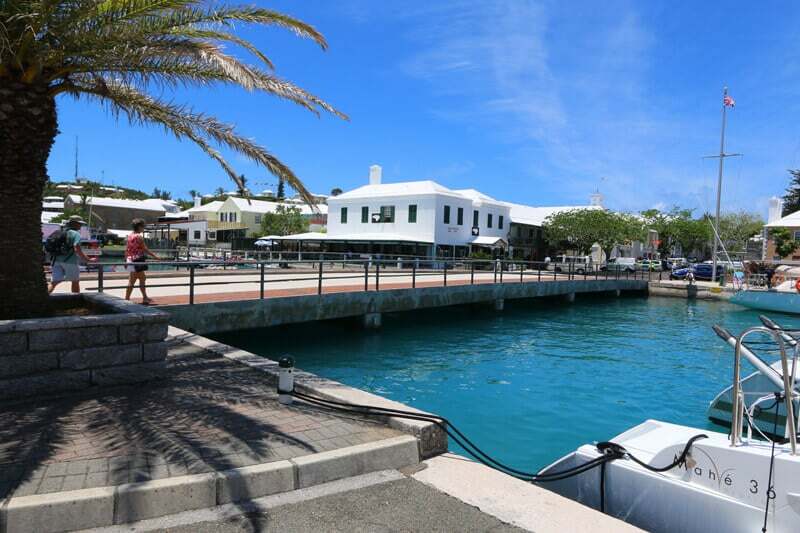 Just across from King’s Square is a bridge leading to Ordnance Island which the British used to store the munitions for their ships. Historically it was also the site for hanging prisoners. 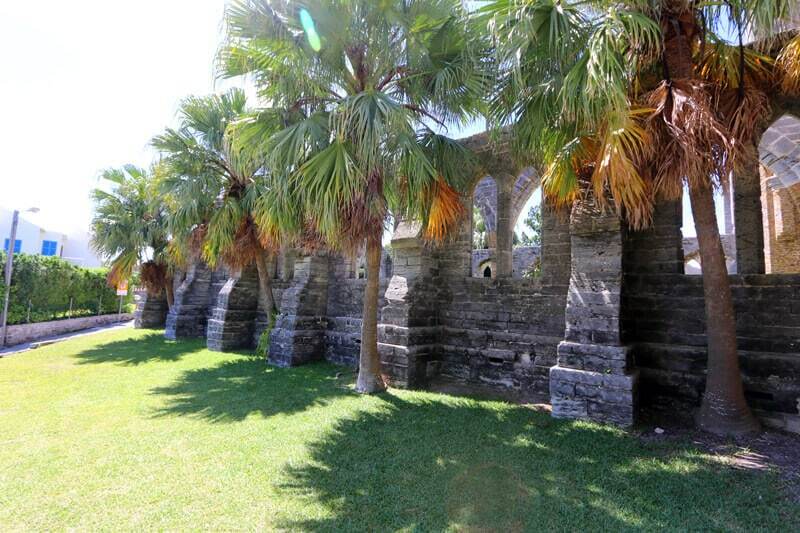 Several old cannons can be found on the island and just off King’s Square. You can walk across the bridge to Ordnance Island and in the distance you’ll see the replica of Deliverance. Deliverance was one of the two ships built by the survivors of the Sea Venture. There is also a life-sized statue of Sir George Somers, Admiral of the Virginia Company who, along with Sir Thomas Gates, led the survivors of the 1609 wreck. The Deliverance was used by Somers to complete their journey to Jamestown in 1610. 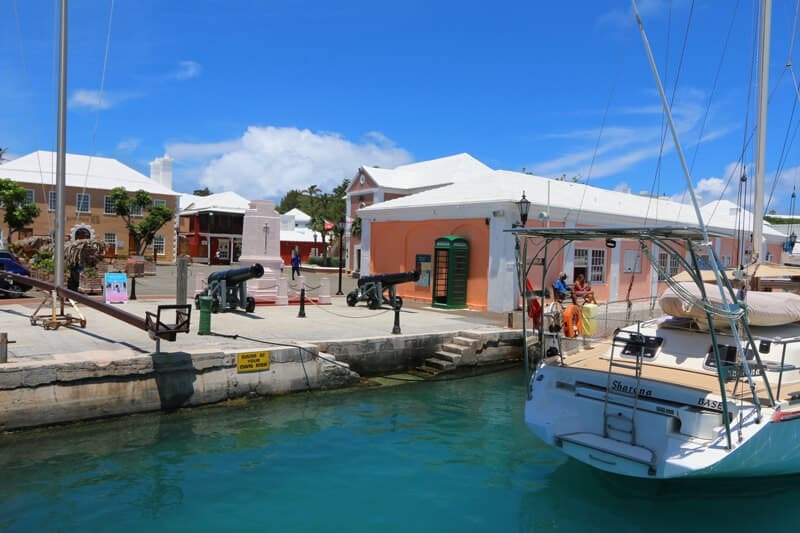 A few more pictures of St. George’s picturesque harbor. 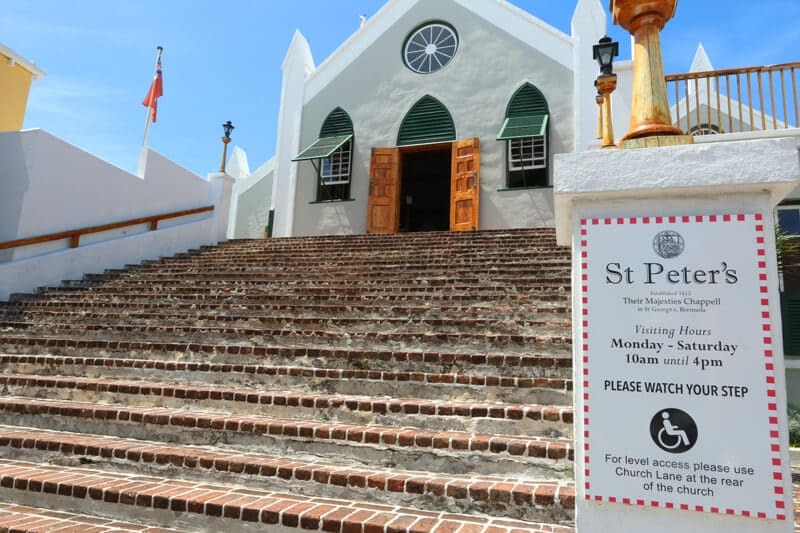 The church was originally built in 1620 but has had to be rebuilt multiple times during the following century to better withstand Bermuda’s storms. Parts of the original structure are still in place. The original church had no belfry, rather the bell was hung from an old cedar behind the church. Though it long appeared to be dead, that very cedar was still standing until knocked down by Hurricane Fabian in 2003. 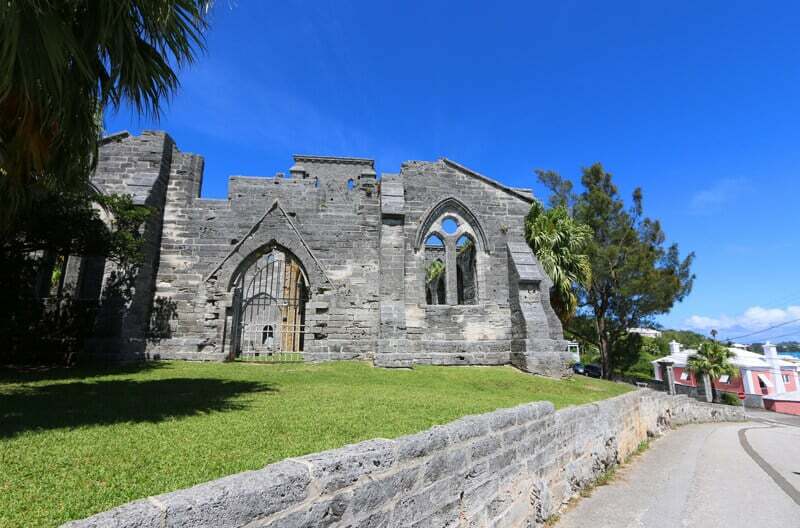 St. Peter’s Church was established as a parish of the Church of England and with the completion of the Hamilton Cathedral in 1894, Bermuda attained its own bishopric. 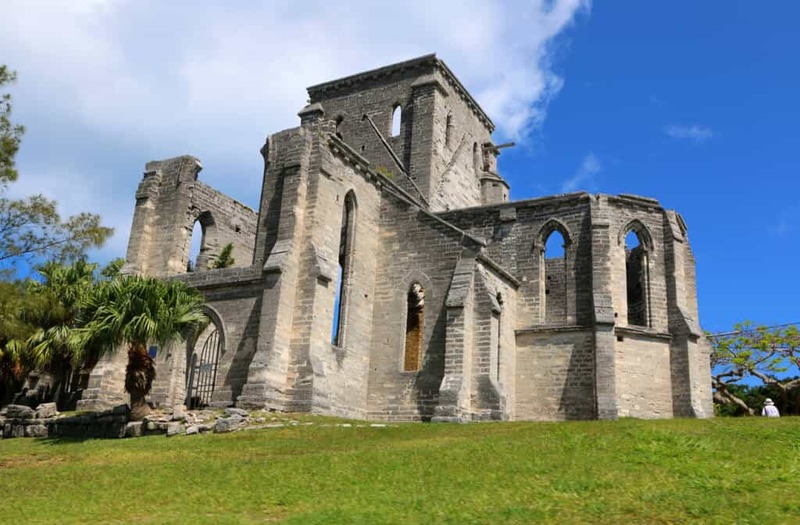 In 1976 the Church of England in Bermuda became the Anglican Church of Bermuda, an extra-provincial diocese under the Archbishop of Canterbury. 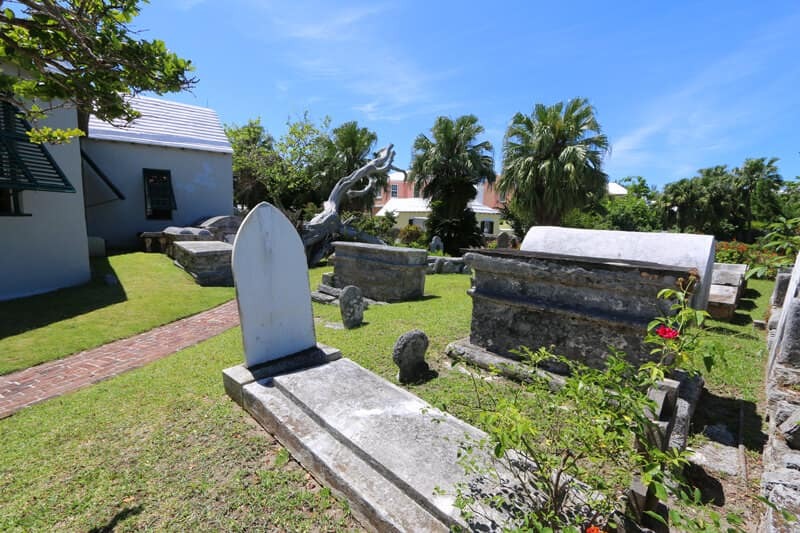 The grave yard which surrounds St. Peter’s Church has been filled for decades and all new burials take place in a graveyard north of the town. 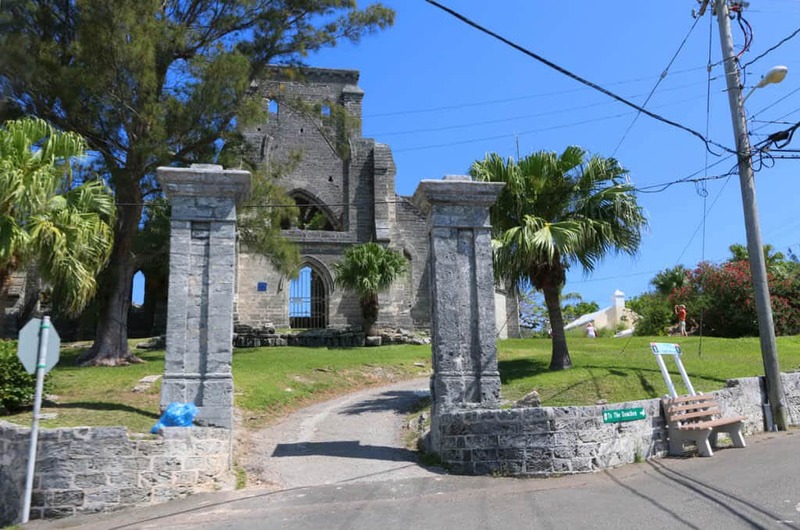 One of St. George’s most popular tourist attractions, the Unfinished Church sits up on the hill overlooking the town and ocean. Construction on what was to be a Protestant church to replace St. Peter’s Church and seat 650 was started in 1874. Some unforeseen challenges arose: The congregation split with some of the parishioners leaving to build their own Reformed Episcopal Church, then in 1874 a fire burned down a cathedral in Hamilton which diverted funds from building the new church, and lastly a hurricane damaged the new construction. The decision was made to abandon the plans to complete the new church and instead to keep and renovate St. Peter’s Church. An so the Unfinished Church remains forever unfinished, a modern ruin. 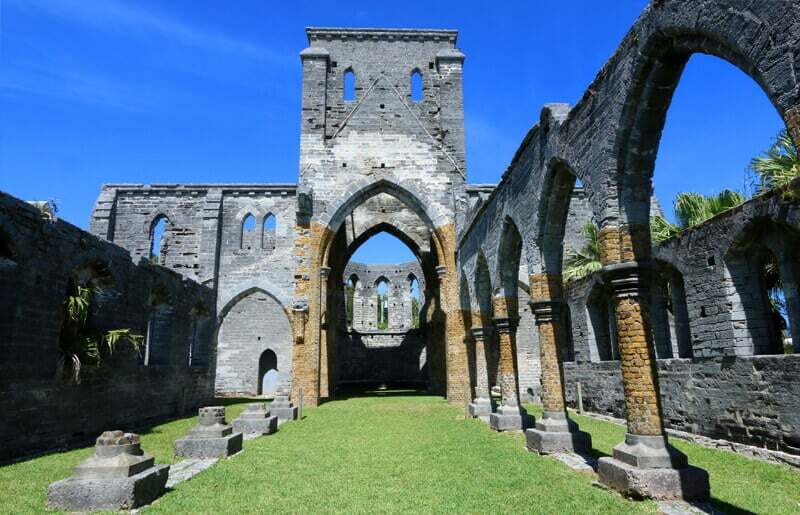 The roof is long gone, many of the pillars have crumbled, and the floor is a bed of grass. 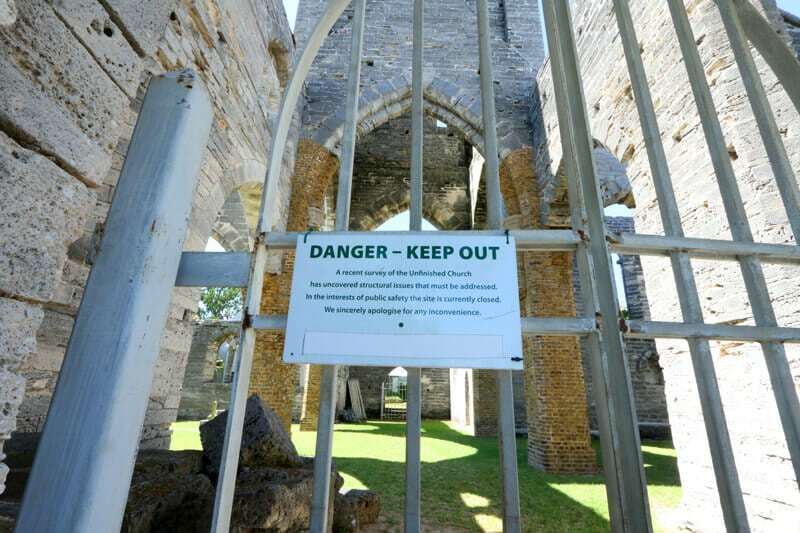 The gates have been recently locked for safety reasons, but the interior of the Unfinished Church is visible from all sides through the stone windows. 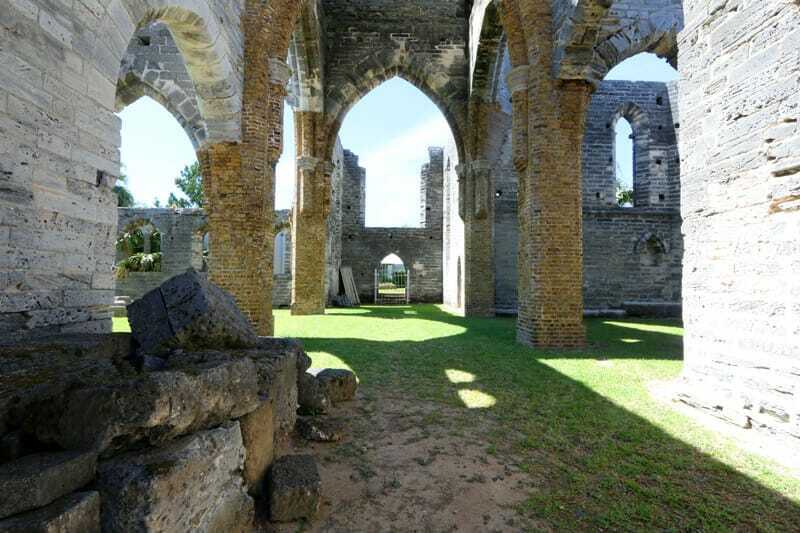 Today the Unfinished Church is a popular site for wedding ceremonies. 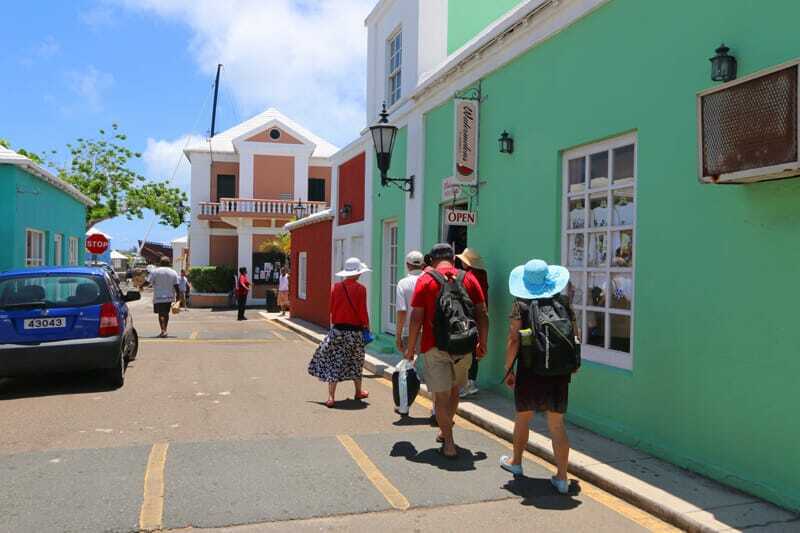 St. George’s is a beautiful and fascinating place for anyone who enjoys history, architecture, and the gorgeous landscape of a sub-tropical island. 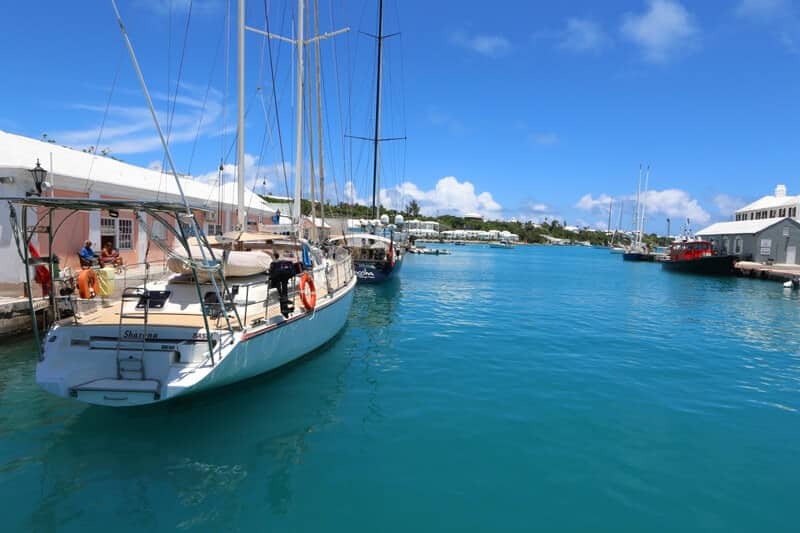 Less than a two hour flight from New York, Bermuda is just a hop and a skip away. 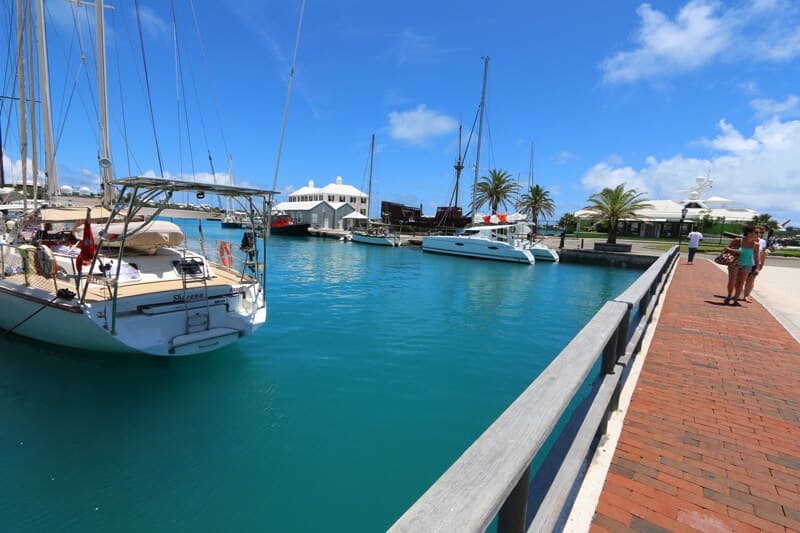 Come experience Bermuda and St. George’s for yourself – we promise you’ll be very happy you did! I am in absolute awe. I had no idea such a place existed! 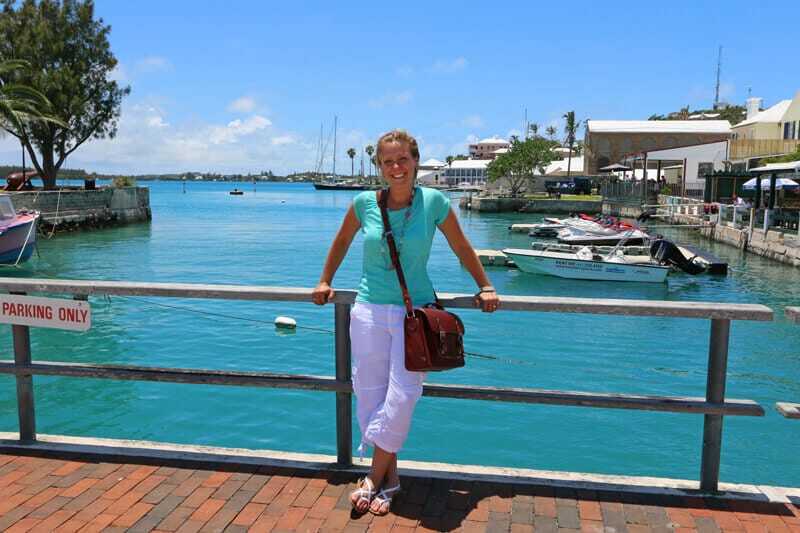 Bermuda has never even crossed my mind as a place to visit but it’s now officially on my list. Thank you for putting this remarkable place on my radar. Will you be publishing some more articles about Bermuda? If so, I can’t wait to see them, thank you! Oh WOW!! St. George’s looks amazing!!! Your pictures are absolutely stunning and I really enjoyed your narrative. I always love reading your travel posts, they’re so inspiring have helped me revamp my bucket list considerably :) Thank you for another beautiful post! Reading your post is so well timed for me. We are still figuring out our summer vacation and Bermuda has been on the list. I appreciate the chance to see so much of it through your trip! The water is such an extraordinary color! What a quaint, charming town too. Looks amazing and that blue water is so mesmerizing!! Your posts have left me dying to visit Bermuda. It looks like you had a wonderful time. There really is a lot to see, I hope to visit soon. 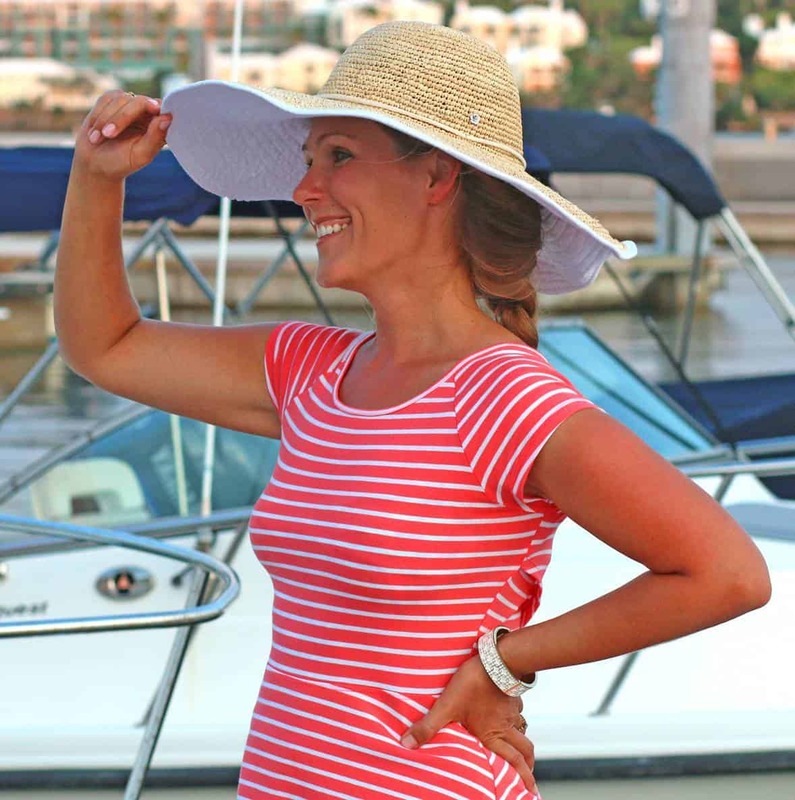 This post makes me want to go back to Bermuda! It has been over 10 years since I visited but I’ve always loved St George’s. The history, people and shopping are the best. Thanks for sharing your trip with us! This makes me want to go to Bermuda so badly!! 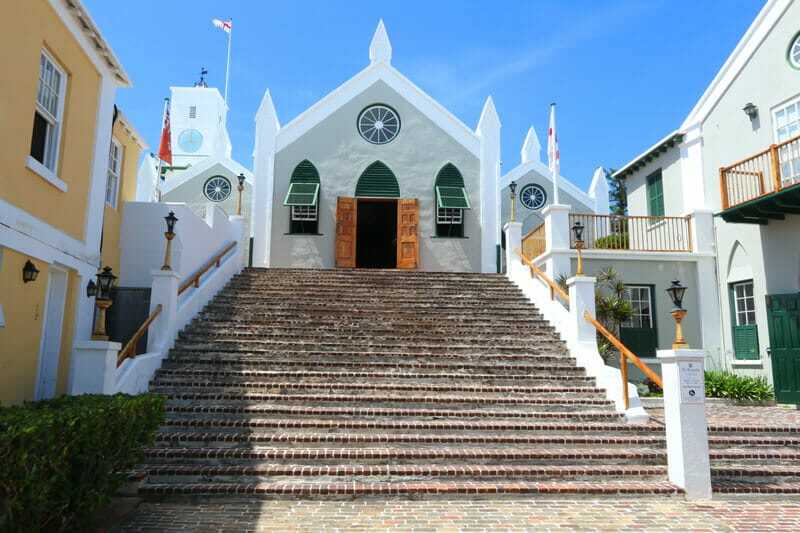 St. Georges looks beautiful! I am especially drawn to the unfinished church. I’m trying to decide what it looks like there from your photos – I think a mix of the Greek Isles like Mykonos and Puerto Rico. So many great photos. I do hope to get to Bermuda one day. 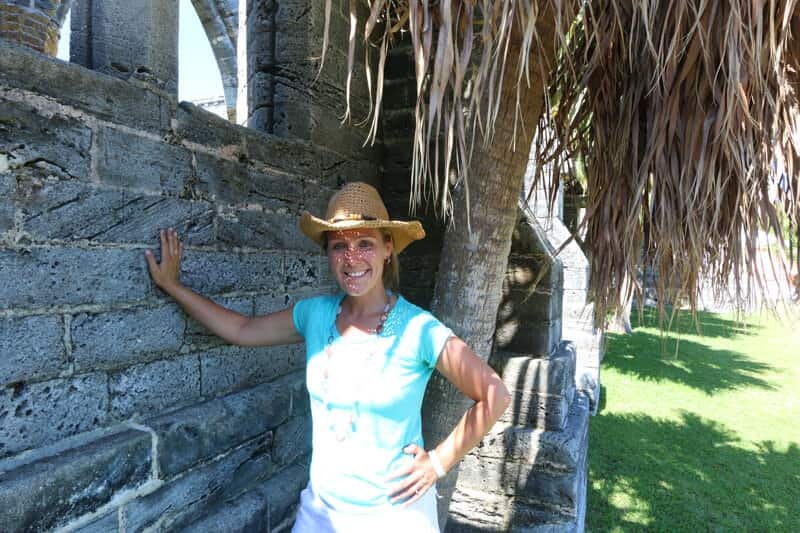 And that Unfinished Church – beautiful!! I’ve never been to Bermuda! Hoping to make the trip soon! That unfinished church is stunning. Never knew how much history there was to see there! I absolutely LOVED this post!! I always enjoy all the background information you share and your pictures are always so gorgeous. Thank you for another inspiring post! 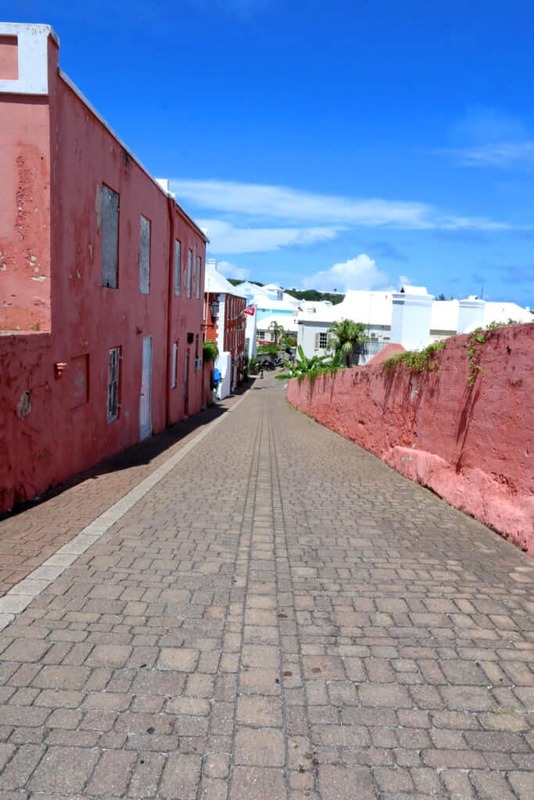 I had never considered Bermuda before but I am officially in love – can’t wait to go! This is just stunning, it makes me want to visit Bermuda so badly!!! I seriously cannot wait to go!! Thanks for sharing this, I honestly had no idea! I know, Sandra, we had no idea either until we went and once we got there we fell in love. We can’t wait to go back! Hope you make it there soon! We are so proud of our Island home. You have done a magnificant job both with the photographs and write ups. Thank you so very much. Thanks so much, Carron, I really appreciate that! 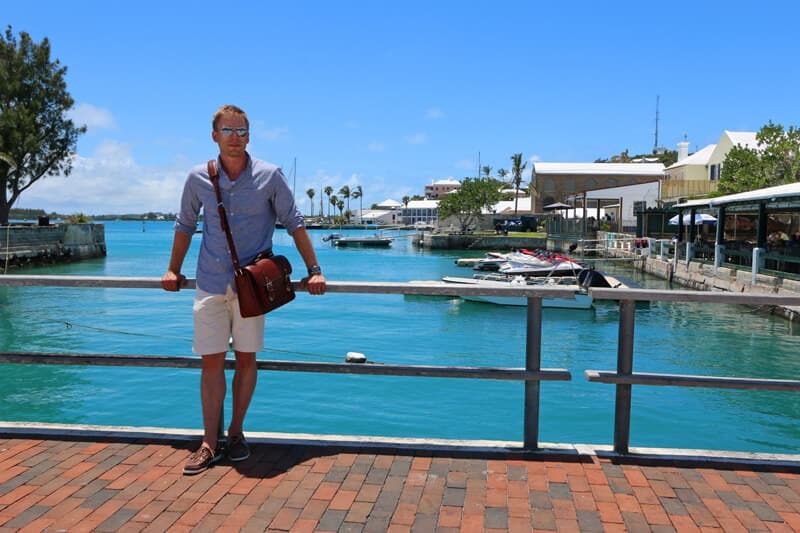 I really can’t tell you how much we enjoyed our visit to Bermuda, it fully captured our hearts. 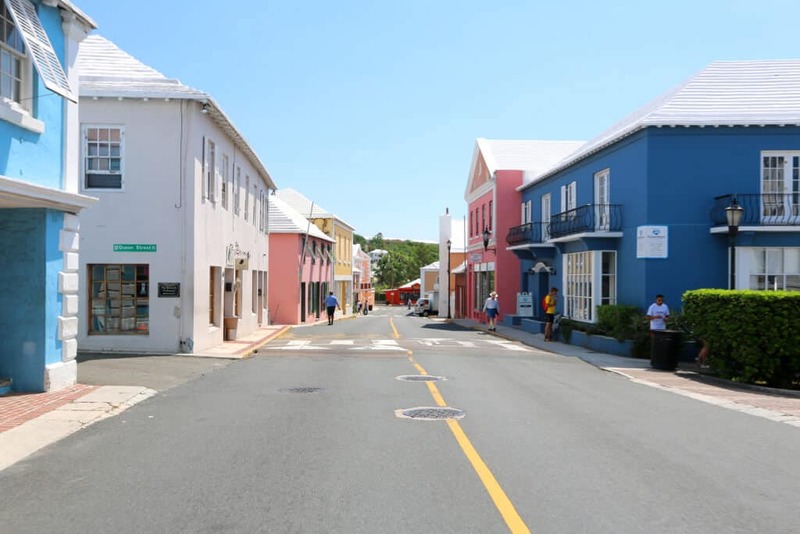 St. George’s is only the first of a series of articles I will be publishing about Bermuda, there will be about 4 more to come. I have to space them out though so that it’s not a complete monopoly on my travel section :) So good of you to visit The Daring Gourmet and I hope you’ll return frequently! 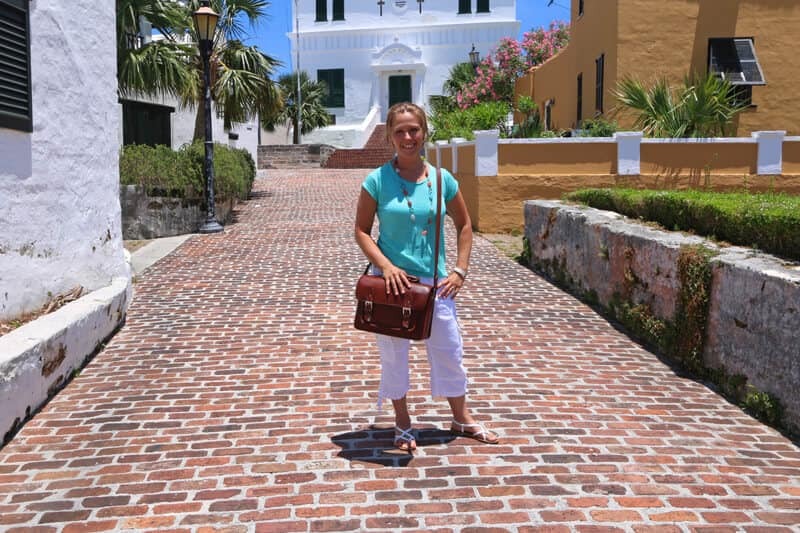 i enjoyed your post and thought that i would share a story from my most recent trip to Bermuda. while talking with our cab driver, i mentioned that it was most unusual to see dogs roaming free. he explained that there were strict laws prohibiting dogs running free. i then mentioned that perhaps there were no snakes on Bermuda. 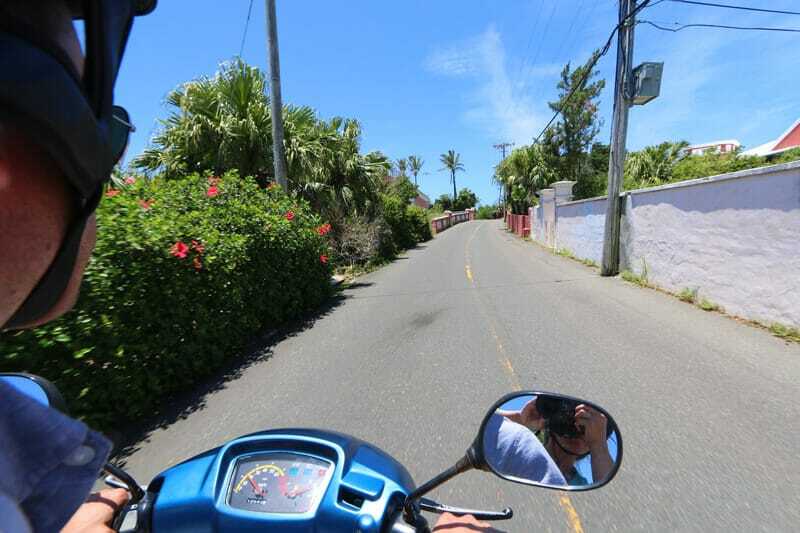 the driver assured me that there were indeed snakes but that Bermudians called them politicians! Haha, love it!! 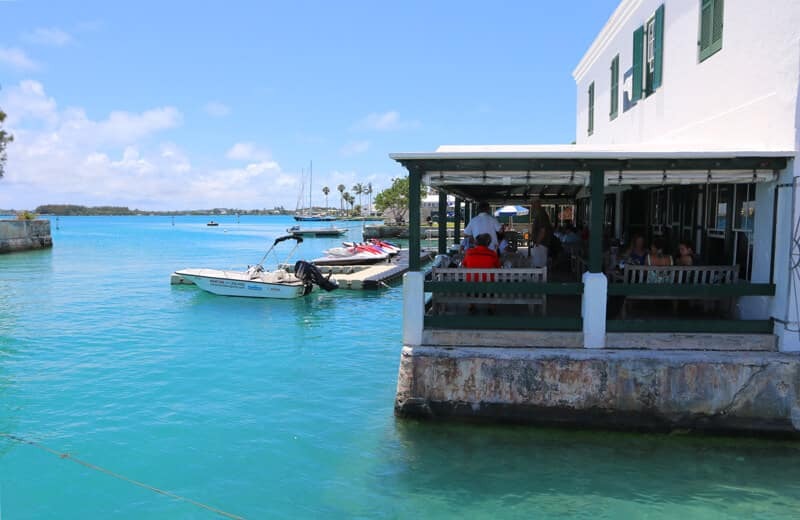 :) Bermuda has become one of our favorite escapes and we look forward to going back again. Thanks for the story, Steve! ooo I can’t wait to travel there! The water is beautiful and I love the Bridge House!